I'm sorry for another delayed post on my blog. To be honest, I'm out of idea now..haha, I've a lot to write but I still considering to publish it or not because I feel not so confident about it. I'm still in my learning process too.When I am ready I'll definitely post it. 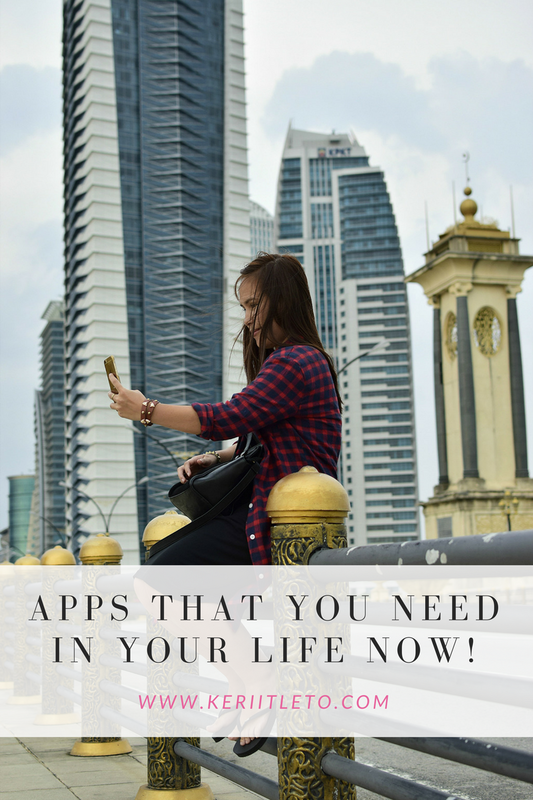 Okay, today I want to share about apps that practically help make my life better(organized to be specific!). *Just click on the Apps name to download it. > If you someone that always forget your own schedule, you can install this one. I love this one because I can see my one week/one month or one year schedule. > Basically, same like Calendars but this one, I don't know why I don't really impressed.But, its help me so far. > I love taking note, talking to myself and add photos/video on my note, so this apps is here for me. > As a blogger, supposedly I need to actively on Social Media to promote contents on my blog but I'm very bad at that, I always missed or sometime forget, so this apps really help me to remember to post on my Social media. > I think everyone knows about this for now. If you driving or travel anywhere else in this world, you can rely on this apps but be careful, don't really too much. Trust you instinct! > When you don't know where to go, you can open Foursquare and there will be a lot of recommended places nearby. Notes: For travel apps, I planned to do another post because I have so many actually so next post ya! *No further explanation needed for this photography apps. I love photography and for sure, I will explore the apps world to search for best apps or sometime,I read on people blogs and below is frequent used apps by people around the world. > I love this apps because when I listen to radio while I'm driving and there's good song playing but I don't know the song title so this apps help me on that. >Have you heard of this apps? If you purchase premium, then you can listen to your favorite songs all day long. >There's plenty money management apps on Google Play and Apps store, but this one is my favorite. Maybe because I love to enter each of my spend every time. No introduction needed for these "girls", they very well known in internet world. If you have other awesome or helpful apps, you can share it with me too! Please leave the comment below ya!